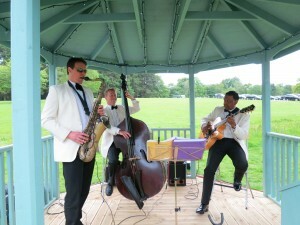 On Sunday 1st June the Ritz Trio performed at a wedding at Glencorse House. The day started with the Trio being, joined by violinist Trudie Ford, playing during a very relaxed wedding ceremony. They then moved down to play under the cover of a lovely pergola!